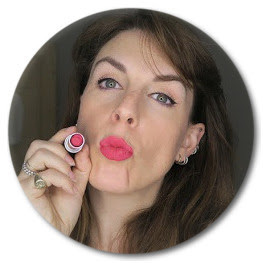 A little treat from my Glossybox a couple of months ago and I've been wanting to review it because I LOVE it but I'm not quite sure what to say. Berber oil is a sort of hair rehab with Argan oil to restore, strengthen and nourish sad hair like mine. One thing I found intriguing, and slightly hard to really prove, is that it contains Vitamin E which reduces drying time so less heat damage to your hair. I mean, my hair seems to be drying quicker but I'm not sure whether I just think it is or if it's the oil. It is definitely silkier, smoother, easier to manage and drys so nicely I haven't really been needing to do too much straightening or styling. My hair also seems thicker, something I was worried about, putting oil on fine hair can sometimes be a disaster, but that could just be this baby I'm making. You can put it on dry hair but I've been using it when my hair is damp from the shower, before blow drying. You only need a little and I wouldn't advise putting it on the roots unless you are one of those lucky people with amazing thick hair. 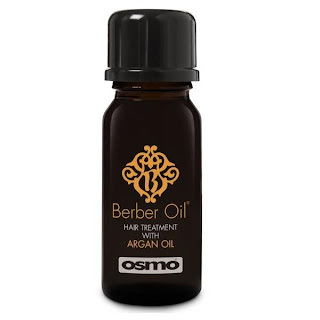 It's also incredibly reasonably price - the small Berber Oil 10ml - Travel Size bottle for around £2.50 (perfect for in the washbag - you won't need any other hair treatments whilst travelling) and the Berber Oil 100ml for £11.50. I really recommend trying this out. I was completely unconvinced by hair oils until I tried this out.